Polonium is a radioactive metallic element, occurring naturally in small quantities as a product of radium disintegration and produced synthetically by bombarding bismuth or lead with neutrons. Most isotopes decay by alpha-particle emission; the most stable are Po-208 and Po-209, with half-lives of 2.9 years and 102 years, respectively. Po-210, with a half-life of 138.4 days, is the most readily available isotope and is extremely toxic. Its symbol: Po; atomic no: 84; melting point 254°C; boiling point 962°C; specific gravity 9.20; valence 2, 4, 6. 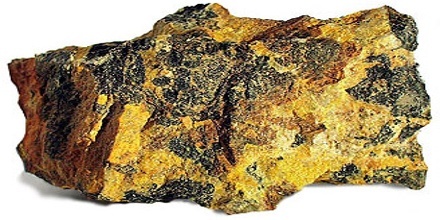 Due to the short half-life of all its isotopes, its natural occurrence is limited to tiny traces of the fleeting polonium-210 (with a half-life of 138 days) in uranium ores, as it is the penultimate daughter of natural uranium-238. 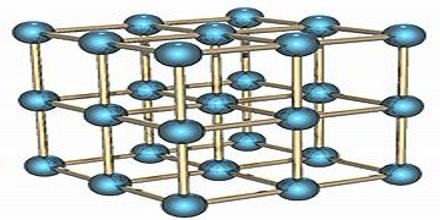 Today, polonium is usually produced in milligram quantities by the neutron irradiation of bismuth. Due to its intense radioactivity, which results in the radiolysis of chemical bonds and radioactive self-heating, its chemistry has mostly been investigated on the trace scale only. Polonium-210 is one of the world’s rarest elements, discovered in 1898 by scientists Marie and Pierre Curie and named in honor of her country of origin, Poland. It occurs naturally in very low concentrations in the Earth’s crust and also is produced artificially in nuclear reactors. 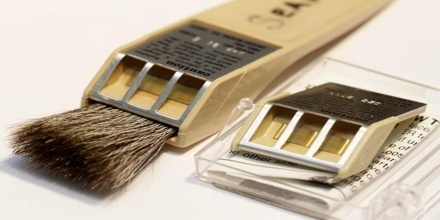 In small amounts, it has legitimate industrial uses, mainly in devices to eliminate static electricity. Polonium is not naturally found in the human body. Twenty five isotopes of polonium are known, with atomic masses ranging from 194 to 218. 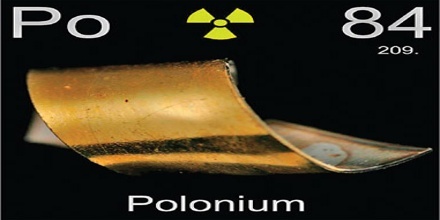 Polonium-210 is a low-melting, fairly volatile metal, 50% of which is vaporized in air in 45 hours at 55°C. 210Po is an alpha emitter that has a half-life of 138.4 days; it decays directly to its stable daughter isotope, 206Pb. A milligram (5 curies) of 210Po emits about as many alpha particles per second as 5 grams of 226Ra. A few curies (1 curie equals 37 gigabecquerels, 1 Ci = 37 GBq) of 210Po emit a blue glow which is caused by ionisation of the surrounding air. Polonium is readily dissolved in dilute acids, but is only slightly soluble in alkali. Polonium salts of organic acids char rapidly; halide amines are reduced to the metal. Polonium-210 is very dangerous to handle in even milligram or microgram amounts and special equipment and strict control is necessary. Damage arises from the complete absorption of the energy of the alpha particle into tissue. 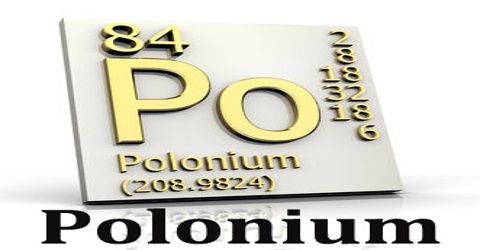 The maximum permissible body burden for ingested polonium is only 0.03 microcuries, which represents a particle weighing only 6.8 x 10-12 g. Weight for weight it is about 2.5 x 1011 times as toxic as hydrocyanic acid. The maximum allowable concentration for soluble polonium compounds in air is about 2 x 10-11 microcuries/cm3. Polonium is an alpha-emitter, and is used as an alpha-particle source in the form of a thin film on a stainless steel disc. These are used in antistatic devices and for research purposes. A single gram of polonium will reach a temperature of 500°C as a result of the alpha radiation emitted. This makes it useful as a source of heat for space equipment. Reference: periodic.lanl.gov, nbcnews.com, yourdictionary.com, rsc.org, wikipedia.